A body kit is something that can easily be bolted onto the car and can make a world of difference. 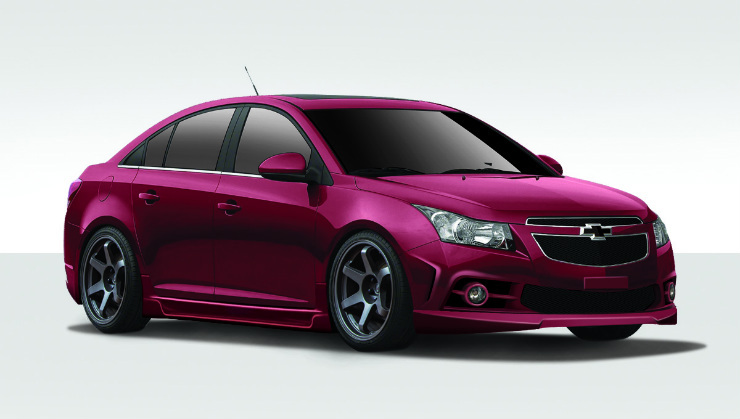 Here are five body kits that will give your Chevrolet Cruze a complete make over. Motormind is a company that designs custom body kits for various cars. They have various designs for the Cruze as well. This particular body kit features a new front bumper with honey comb mesh and integrated DRLs. The bonnet has been customized and now has a raised central central portion and air scoops. On the side there are side skirts and the front fender houses an air vent as well. The rear bumper has a new integrated diffuser, lateral air vents, dual exhaust and a central LED lamp. Car body kit store is a company that makes body kits. 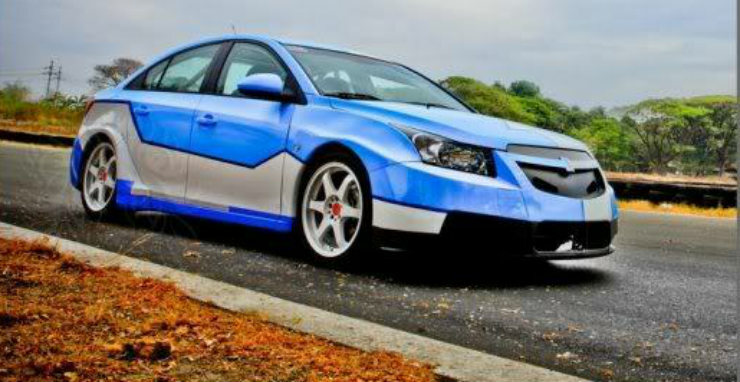 It makes various body kits for the Cruze as well. This body kit is a 4 piece kit that includes an all new front bumper, side skirts and a new rear bumper. The front bumper gets a new lip and air vents on the side. The rear bumper now has a diffuser and gets dual exhaust pipes on either side. This kit will cost you Rs. 47,545, plus the shipping costs. 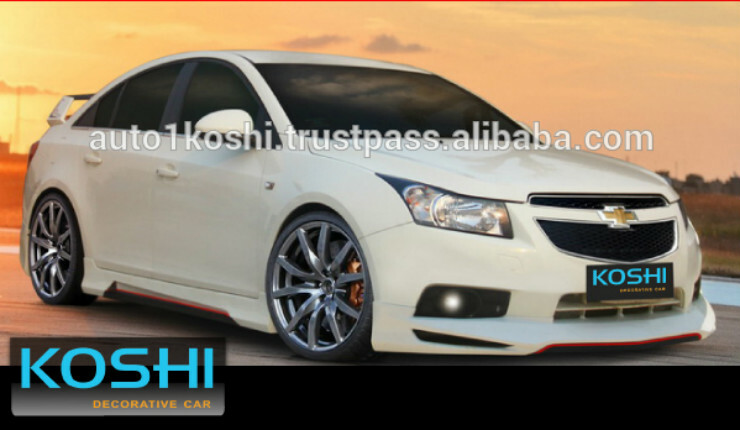 This Cruze gets a drastic make over and the front end looks completely transformed. The bow-tie grill has been replaced by a twin slat chrome grill. The bumper now has more flair and muscle. The front gets skirting as well and all new LED lights. On the side you get side skirts. At the back, there is an all new spoiler and a completely redesigned rear bumper. It gets a massive diffuser with quad exhausts and air vents on each side. Price on request. Chevrolet races the Cruze in various touring car championships across the world, be it the BTCC, WTCC or PPCC. 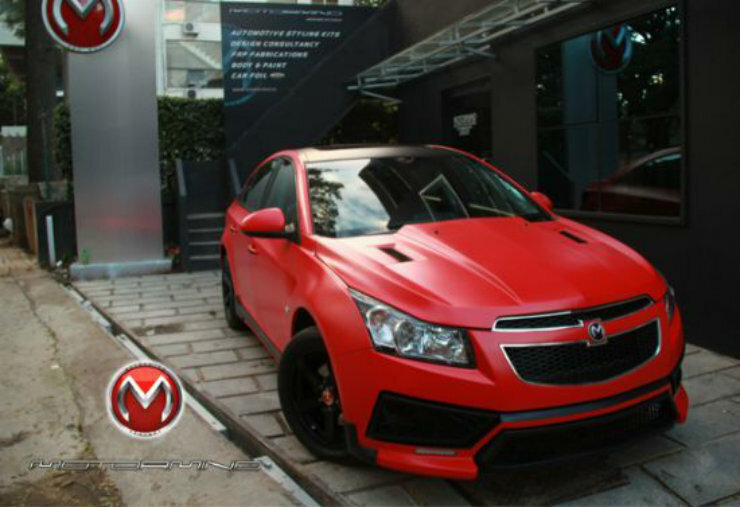 Inspired by them, this company below made their own custom body kit for the Cruze to make it look like a touring car. So the normal bumpers were replaced with the large wide body front and rear bumpers. The fenders too have been replaced with wider ones to fit bigger tyres. These people have further added a roll cage which they need for racing, however the kit is limited to only the front and rear bumpers and the fenders. You will need to get a paint job done on your car if you want it to look like a touring car though. Price on request. This body kit is bolted on to the existing vehicle. It contains a front skirt that is added to the bumper, side skirts, rear skirts and a large rear spoiler. The kit will cost you somewhere between Rs. 40,000 and Rs. 53,000.